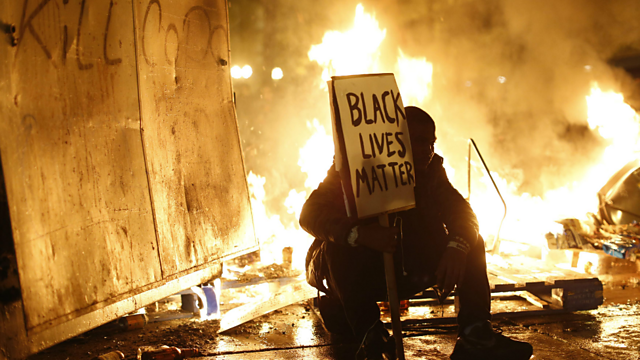 We hear reaction from across America to the Grand Jury Verdict in Ferguson. The US town saw its worst night of rioting in recent months. The disturbances were sparked by a jury's decision not to charge a police officer over the killing of an unarmed black teenager, Michael Brown.